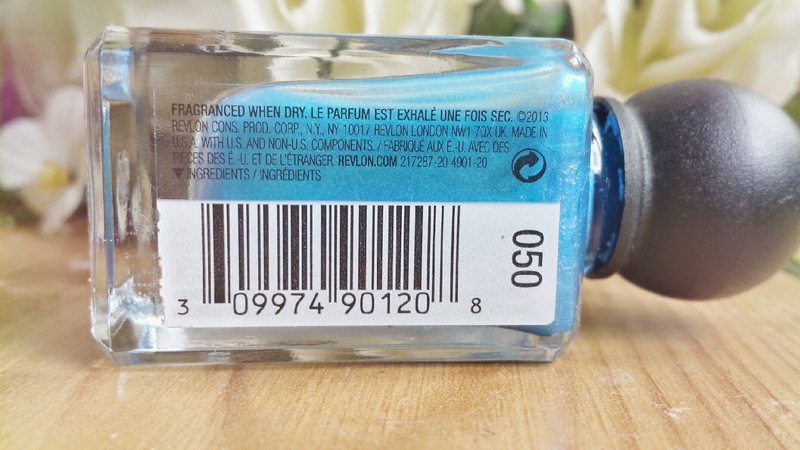 The polish comes packaged in a glass bottle that holds 11.7ml of product. The lid is small and round and the bottle as a whole is designed to mimic that of an expensive fragrance. The first thing that I noticed when I began to use this polish was that the brush was annoying to hold. Maybe it’s because I am so used to the ‘normal’ oblong/cylinder nail varnish brush handles that this one felt a little alien to me. The actual stick and brush part feels so long in comparison to the tiny little ball to hold on to at the end that it just doesn’t feel like it holds ‘right’ in your hand. Do you get what I mean? I don’t get what I mean either. I should probably work on revising this paragraph when I work out exactly how to explain it. Alongside this, I found the formula to be incredibly sheer and watery. Maybe that was intentional with the polish being called ‘surf spray’ and all, but along with the awkward brush it didn’t make it the easiest polish to apply. With that said, it didn’t apply badly. The brush itself is pretty thin so the chance of messing up is low, but that also means that it takes longer to apply. A thicker brush applies varnish so much faster. The two issues of a sheer formula and thin brush means that if you want full, opaque coverage, you will be hanging around for quite a while - this will be a potential four coater. 3 minimum. Also, if you want the scent then you will need to skip on a dry fast top coat, adding an extra half an hour or so to your time. If you are a busy woman who is strapped for time yet want to apply a varnish, don’t choose this one. It’s definitely not a polish to apply in a hurry! 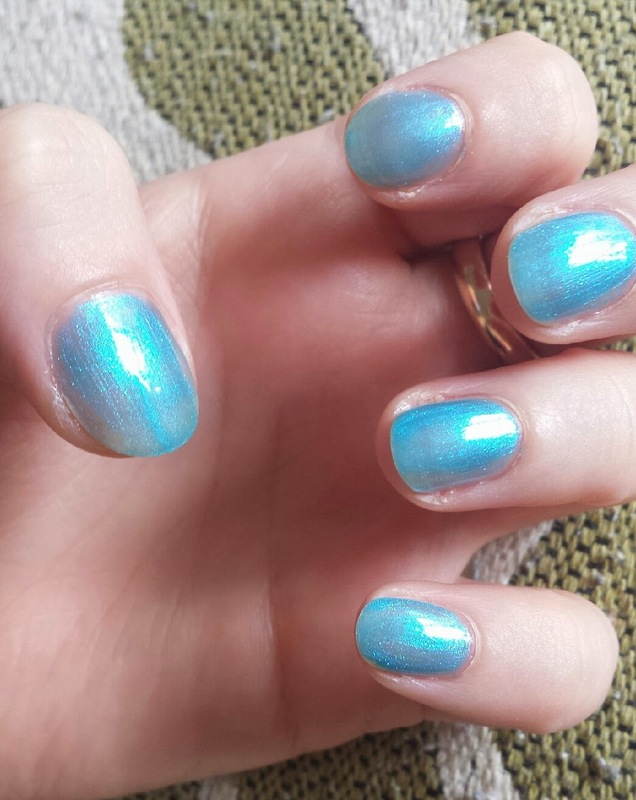 If, however, you are adamant on a glittery blue polish that you can apply faster, I suggest checking out Zoya’s Rebel. It is paler, but is a fast applying blue glitter. The finished product has visible brush marks and in some patches may be more translucent than others. I promise you though that if you use this then you will be continuously staring at your nails. It's that colour! It's mesmerising! After the polish dried, I naturally did the ‘smell my nails!’ test with everybody around me. The results are in and the smell that people believed radiated from my nails is… *drum roll*… candy floss bubblegum. Not quite surf spray. 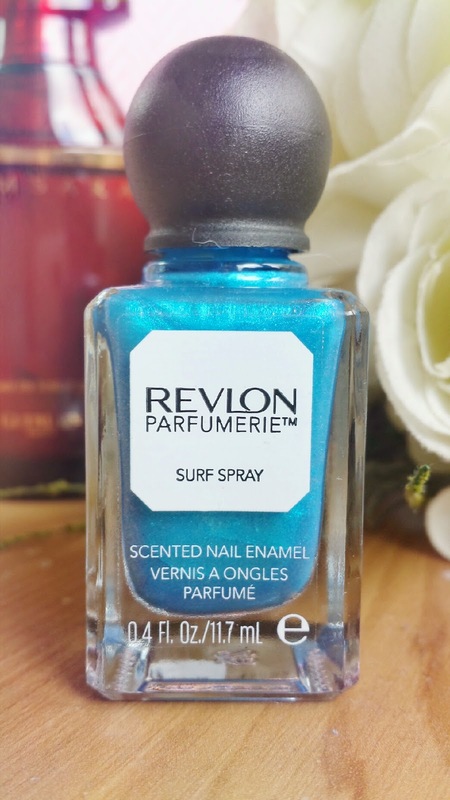 To me, however, I felt that this polish smelt a bit like a combination between Davidoff’s Cool Water and fresh laundry, which is a little closer to surf spray than candy floss bubblegum. The smell was noticeable only when smelling close up, but occasionally you may catch a whiff whilst your hands are in movement. I quite liked those moments actually. The smell is rather pleasant, so I don't mind catching it periodically! 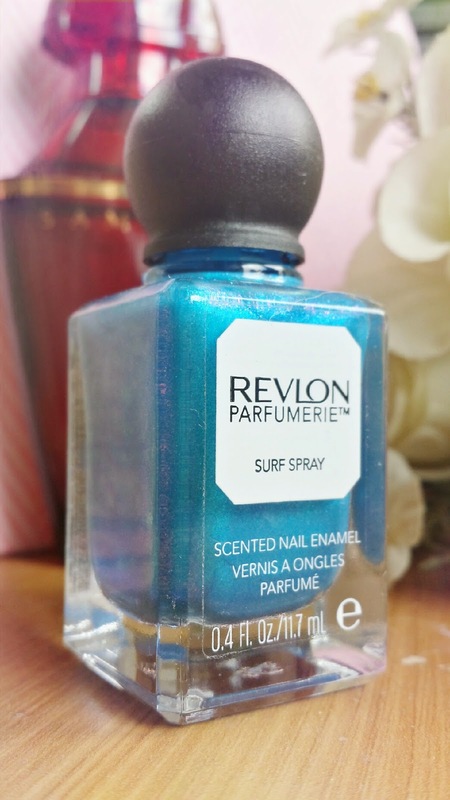 So was the polish worth it for the scented gimmick? Well that depends. If you like the smell of Cool Water/candy floss/bubblegum/fresh laundry then sure! If you're just not that bothered by the scented aspect and are formula focused, then the polish formula and application are just so-so for me. However, this polish is still totally worth it for that colour. Yep, mentioned it in this post again. Find some time, apply your coats and become captivated. 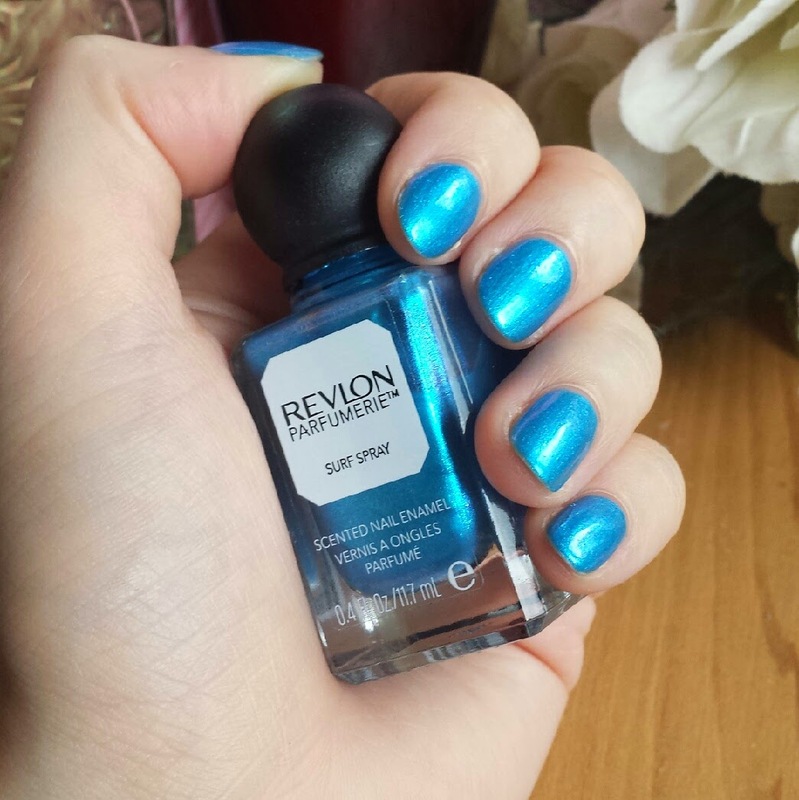 Lose yourself in that awesome, sparkly blue! It's so bright! Worth every second of application. Here is the million pound question though - would I go back to buy more? You know what? Yeah, I probably would. Putting the application issues aside, the shade range is pretty good. Also, the application issues aren't likely to extend to every single shade in the range. 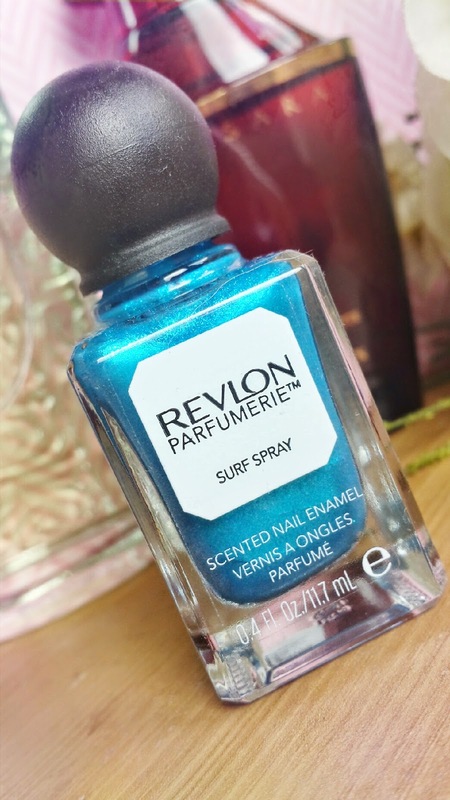 Along with that, the scent on Surf Spray was far superior to that horrid 'lemon drop' scented polish of my nail-past. The other scents in the range also sound rather interesting - enough to spark my curiosity further. If Surf Spray doesn't do it for you, then other scents in the range that look intriguing (aka the others that I may 'have my eye on') are Moonlit Woods, Italian Leather, Tropical Rain and Wild Violets amongst many typical fruity scents. I picked my bottle up from Boots whilst it was on sale down to £4.49 from £6.49. 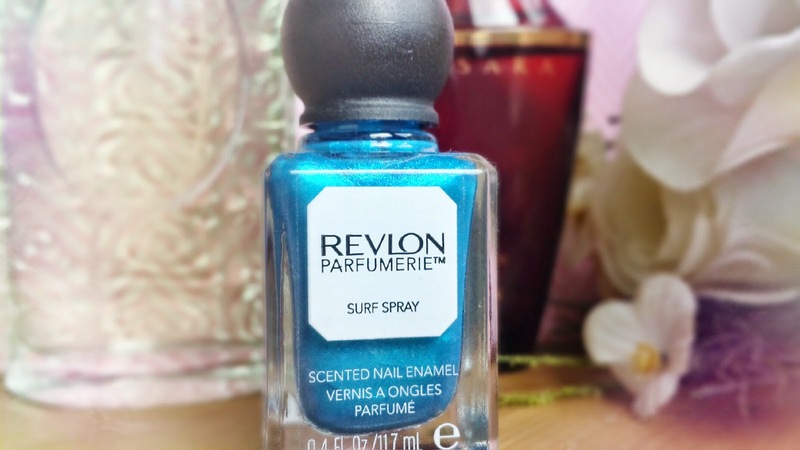 Have you tried any of the Revlon Parfumerie range? What scents are your favourites? Ohh! That is FANTASTIC to know! Thank you so much!